Chandler Partners is ready to go vertical with a controversial mixed-use project in Los Feliz. 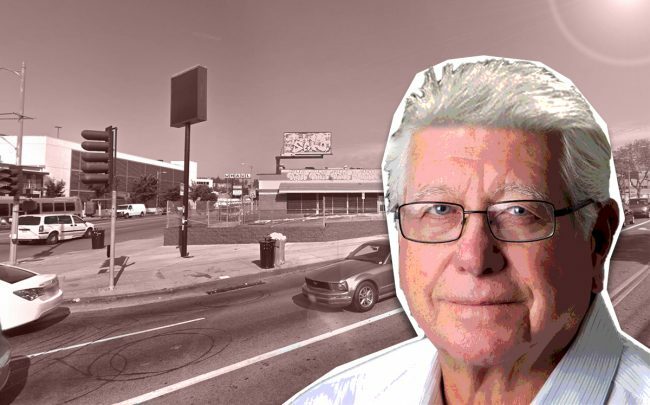 The Burbank firm has cleared a former auto parts store at 4531 Hollywood Boulevard near the Vermont/Sunset Metro Red Line station for its 202-unit project, according to Urbanize. The “City Lights” development will also have around 14,700 square feet of ground floor retail space and parking for 372 vehicles. The complex will be a mix of studio, one-, two- and three-bedroom units. The building will have two roofdecks. For City Lights, it’s tapping designers at VTBS Architects. Chandler has developed residential projects around the L.A. metro area, including in nearby Hollywood, but City Lights appears to be its first in Los Feliz. Chandler didn’t get a warm welcome from everyone. Former local City Councilman Tom LaBonge launched a petition four years ago to stop the project over traffic issues, and objections to its design. The petition failed, but he received more than 1,000 signatures for his petition. Los Feliz has been a hotspot for investors. That development has helped drive up home values in the neighborhood — sandwiched between Hollywood and Silver Lake — by about 10.5 percent in the last year alone. In January, CGI Strategies scooped up a 78-unit project in the neighborhood for $20.2 million.